For Ridgefield, Connecticut native Anthony Alfredo, Feb. 23, 2019, will be forever remembered as the culmination of a dream. That date is when the NASCAR Gander Outdoors Truck Series takes to the track at Atlanta Motor Speedway for the Atlanta 200. Alfredo will make his first start in a NASCAR national series competition, racing a Toyota for top tier team DGR-Crosley. The 19-year-old UNC-Charlotte student is stepping up the ladder after a year of competition in the NASCAR K&N Pro Series and the ARCA Racing Series, where he won one K&N Pro Series East race and showed plenty of speed throughout the season in both series. He has already tested with his new team at Atlanta and says he felt more comfortable in his first outing than he expected, giving him confidence going into his first race. Alfredo plans to compete in 13 of the 23 scheduled NASCAR Gander Outdoors Truck Series races this season, with more starts possible if the funding can be put in place. Details of his schedule will be released shortly. His past racing exploits show that he is a quick learner. He won the Southeast Limited Late Model Series championship in his first full year of late model racing. 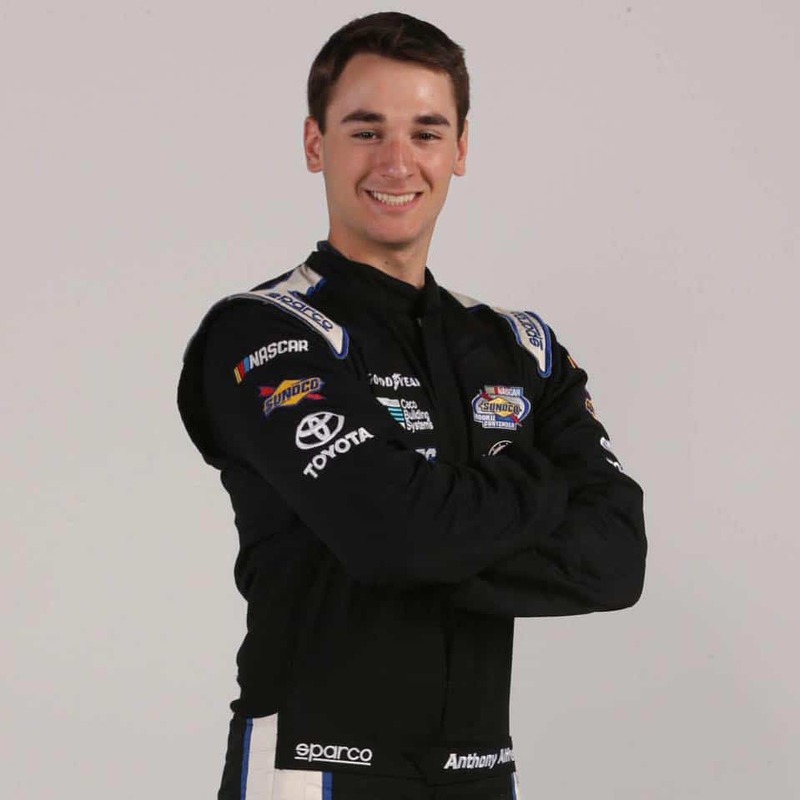 He won in the NASCAR K&N Pro Series East in his first year in a full-size stock car. He showed top five-speed in the ARCA Series in his limited number of starts there last year and he’s proven to be adaptable on tracks from tight 1/4-mile ovals to the larger, faster 1.5-mile speedways that ARCA and NASCAR race on. Now, before his 20th birthday, he will have his chance to race against veterans like his team owner David Gilliland, multi-time champion Matt Crafton, former NASCAR Cup Series champion Kyle Busch and some of the most talented and proven young racers in NASCAR this season, beginning at Atlanta Motor Speedway. The Atlanta 200 is scheduled to start at 4:30 p.m. Eastern time on Saturday, Feb. 23. The race will be televised live on Fox Sports 1.